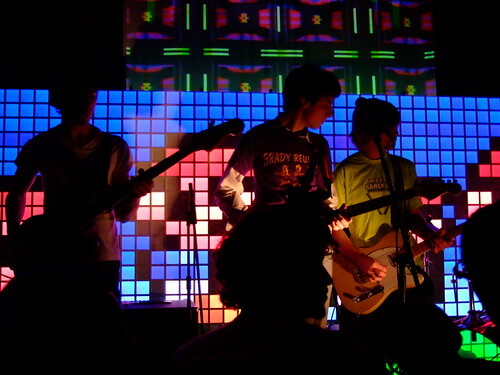 They, along with a collection of other awesome Chiptune artists – Nullsleep, Bit Shifter, YMCK, and many more, performed at “The 2006 Blip Festival,” which by all accounts had a big public draw. It’s success soon spread world-wide, as other countries, from Denmark to Japan, organized their own events which also gained their own popularity. Having seen videos and read interviews, I can see that “The 2006 Blip Festival” was not only a favorable event, but one of special importance. Thankfully some talented filmmakers thought so too, and caught the festival on tape for a documentary called Reformat the Planet. Produced by 2 Player Productions, “Reformat the Planet” is a documentary about “The 2006 Blip Festival,” and the artists that so happened to take apart of it. Included in the film are some great performances by artists that I’ve mentioned above, and tons of interviews that peal insight into the Chiptune scene. Today, the documentary is available for sale on DVD as a special two-disc package, that not only includes the original version of the film, but also a “Reformat the Planet 1.5” edition that follows the New York Chiptune scene years after the event. But that’s not all! In celebration for the release of “Reformat the Planet,” gaming merchandise creator Fangamer, has made some awesome-looking swag that is purchasable in some DVD bundles. The package of goodies, such as a cool Bit Boy t-shirt, Pixel Pulse poster, Chipbender pin set, and additional supplemental content on DVDs and CD, can be bought together or separately – so there’s no need to miss out on anything that strikes your fancy. REFORMAT THE PLANET trailer from 2 Player Productions on Vimeo. 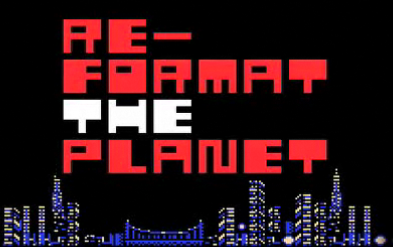 Reformat the Planet 1.5 clip from 2 Player Productions on Vimeo. This entry was posted in News and tagged 2 Player Productions, 2006 Blip Festival, Anamanaguchi, chiptunes, Nullsleep, Reformat the Planet. Bookmark the permalink.